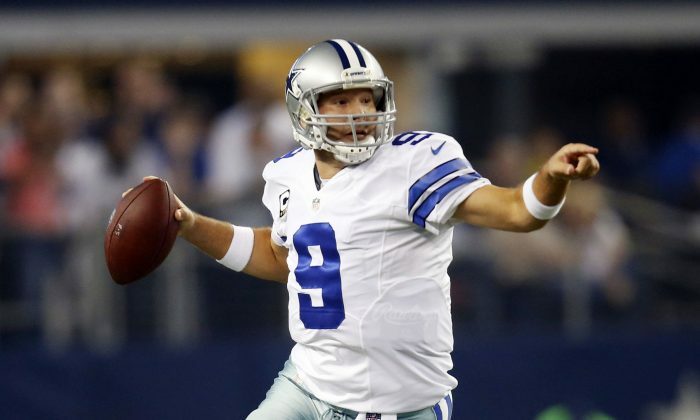 The Dallas Cowboys had a bye week and sit at 7-3 before facing the Giants next week. Here’s some of latest news and rumors. Cowboys owner Jerry Jones said Tony Romo made the most of the bye week amid the quarterback’s back injury. “I think it’s really beneficial, and he knows how to use it,” Jones said Tuesday, via NFL.com. “I think by the time we kick off Sunday, he will have maximized this break for himself and for us. With his back injury, Romo is in for a rough stretch. The Cowboys play three games in 12 days starting this Sunday. The Cowboys have back-to-back Thursday night games–including the Thanksgiving Day game against the Eagles–after the Giants game on Sunday. Dez Bryant reportedly partied at Jay Z’s 40/40 Club on Saturday night after he signed with the rapper’s sports agency. “He came with his brother and some guy friends,” said one source, per the NY Daily News. Bryant becomes a free agent after this season is over. According to a recent CBS report, he’s frustrated over the contract negotiations. Amid his best season as a pro, DeMarco Murray said he’s prepared to take on the responsibility for the rest of the season. “I’m ready,” Murray said Monday, according to ESPN Dallas. He currently leads the NFL with 1,233 rushing yards and seven touchdowns. With the weather getting colder, it’s likely that the Cowboys will rush even more. Adrian Peterson was suspended for the rest of the season by the NFL’s top brass. There’s been speculation that Peterson, who is a native of Palestine, Texas, will eventually be released by the Minnesota Vikings. It was reported by ESPN earlier this year that Jerry Jones had a conversation with Peterson and allegedly told him that he wants him to retire playing for the Cowboys. Why is the NFL Tax Exempt and Non-Profit? Why is the NFL a non-profit organization despite having an annual revenue of $9.5 billion?